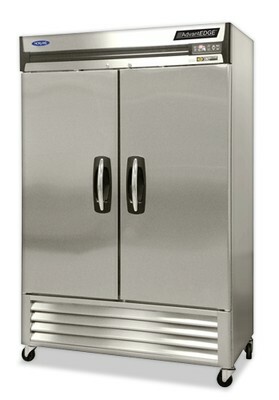 A broken reach in cooler or reach in freezer can be catastrophic for a restaurant or commercial food service business. Forest Air, LLC provides superior service on parts replacement and complete installation for our clients. And because we understand how critical adequate refrigeration is to your business, we move with a sense of urgency to get your refrigeration solution back running at peak performance. Our service techs have a plethora of field experience and will have you back up and running in no time. To help prevent unwanted refrigeration failures that could cost you greatly in lost business, ask us about our maintenance agreements. When you purchase one of our refrigeration maintenance agreements, our skilled technicians will visit your business on a regular basis and perform routine maintenance on your commercial refrigeration equipment. Decide to purchase a maintenance agreement for both your refrigeration and HVAC equipment and receive a 10% discount. Don’t wait until a crisis occurs to contact Forest Air, reach out today and let us help you stop problems before they start. Complete the Contact Form or call (985)651-5968 to schedule service or ask about a free estimate!